BARCELONA, MOBILE WORLD CONGRESS – February 28, 2017—Over the next five years, strong growth in the number of mobile users, smartphones, Internet of Things (IoT) connections and mobile video consumption will place significant challenges on networks. As service providers prepare for the next wave of network speed, extensive architectural transformation involving programmability and automation will be needed to support these capabilities and future innovations including the evolution of enterprise services, 5G, and IoT. In unveiling plans to build their network of the future, Australia’s best mobile network Telstra is driving network innovation to enhance resiliency; accelerate time to market; and support the evolution to 5G and IoT capabilities. Telstra aims for its new network to be based on Software Defined Networking (SDN) and Network Functions Virtualization (NFV). Telstra is expanding Network Service Orchestration (NSO) automation across its Ethernet and IP platforms as a key technology enabler to deliver this future network. Deployed 12 months ago, Cisco’s NSO technology has helped Telstra achieve a reduction in the provisioning time of equipment for new services from hours to minutes. This has been done through the automation of network and customer service configuration and turn-up testing of Ethernet and IP products that underpin a range of mobile and enterprise networks. This automation has also reduced the amount of failed service activations and network issues, as the risk of human error is removed. With its expansion of NSO, Telstra will enable uniform configuration management tools, innovative orchestrated assurance capabilities and consumable network APIs for business applications and customer self-service portals. “Leading service providers such as Telstra recognize the value network automation and SDN offers to help enable competitiveness and innovation in their markets,” said Charles Stucki, vice president and general manager of Network Function Virtualization (NFV) Business Unit, Cisco. 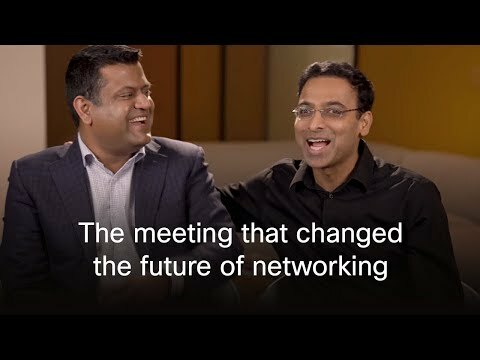 “Cisco’s NSO technology is a key NFV solution that helps enable faster and more flexible delivery of existing and new services. We are very active in our partnership with Telstra to help them achieve greater automation, agility and scalability across the growing catalog of services that Telstra provides to their customers."